Add a contemporary touch to any room in your home with this hanging floor lamp. It features a chrome arched support that gently curves to create a "hanging" effect. A circular black shade continues the modern styling, fostering a minimalistic look and feel. 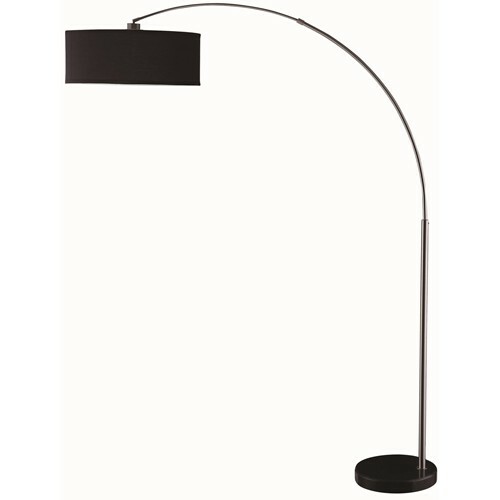 Whether you need extra lighting in your living room, office, or bedroom, this floor lamp offers a lovely option to accomodate your needs.